In January, Jordan passed a law to control research and therapy using human stem cells derived from embryos — the first such regulation in the Arab and Islamic region. I was part of the group headed by Abdalla Awidi Abbadi, director of the Cell Therapy Center at the University of Jordan in Amman, that initiated the call for the law and later drafted it. Stem-cell research is a hot topic for Jordan because of the kingdom’s status as a health-care hub that draws patients from abroad. It is already one of few countries in the Middle East with regulations for protecting people who participate in clinical trials. This latest law should serve as an example to other countries in the region. The new rules ban private companies from using human embryonic stem (ES) cells in research or therapies. Such work will be allowed only in government organizations or publicly funded academic institutions in Jordan, which have higher levels of transparency than private firms and are supervised by the health ministry and a specialized committee. The law also bans payment for donations of stem cells and eggs, and says that modified and manipulated cells are not to be used for human reproduction. There is no current research on human ES cells in Jordan; this is a pre-emptive step. Much of the controversy and disagreement over work on stem cells worldwide arises from the different views of the major religions on the earliest stages of life. Although the use of human ES cells is opposed by the Roman Catholic Church and some Protestant denominations, it is generally supported by the Jewish community and accepted in many Muslim countries. There is no consensus on when human embryonic life begins, but the majority of Muslim scholars consider it to start 40–120 days after conception and therefore hold the view that a fertilized egg up to 5 days old has no soul — it is not ‘human life’ but ‘biological life’. So for many, there is no ethical problem in the Islamic faith with using an early embryo to produce stem cells. All our discussions in Jordan have concluded that stem-cell research is permissible in Islam. Such conclusions are not easy to reach. Many Muslim countries consider legislation and bioethics principles to be based on three pillars of Islamic law. The first is the Quran. The second is Sunnah, or the legislative decisions of the Prophet Muhammad. The third is ijmaa — the consensus of Muslim scholars — and ijtihad, the concept that every adequately qualified scholar has the right to independently solve problems. On the basis of these pillars, Iran, Saudi Arabia and Tunisia have drawn up guidelines on stem-cell research, but they are not legally binding. Jordan’s stem-cell law is the product of years of discussions by committees comprising scientists, physicians, Arabic-language experts, lawyers and Muslim and Christian theologians. The issues that arose — confusion between ‘stem cells’ and ‘embryonic stem cells’, for instance — were discussed and resolved. We consulted with both the National Committee for Science and Technology Ethics and the education ministry. The final law was approved by the council of Muslim scholars, the Majlis Al-Iftaa. The council agreed with a 2003 decision (fatwa) by Muslim scholars that allows the use of human ES cells from permissible sources — including legally produced excess fertilized eggs from in vitro fertilization. The decision to ban private companies from using these cells was driven by concerns that the work would encourage termination of pregnancies, which is illegal in Jordan unless the mother’s life or health is at risk. The council was clear that the new law must forbid human reproductive cloning and should not allow embryos to be created from the sperm and eggs of unmarried couples. The distinction drawn between the various sources of stem cells earlier in the discussion process allowed the Majlis Al-Iftaa to take a more permissive approach to techniques using stem cells that are not derived from human embryos. For example, somatic-cell nuclear transfer (in which a patient’s DNA is transplanted into an unfertilized human egg that has no nucleus) and induced pluripotent stem cells, which are made from adult cells, can be worked on by the private sector under the new rules. The therapeutic use of bone-marrow transplantation — including transplants of blood-forming stem cells — is well established in Jordan. Such procedures are already regulated by existing laws on medical practice, so the new law makes a clear distinction between these techniques and human ES-cell therapy. The legislation not only covers all current aspects of stem-cell research and use, but also leaves room for later modification. It mandates the creation of a national committee that, among other things, will take responsibility for laying out specific regulations for stem-cell banking in accordance with international standards. All our discussions in Jordan have concluded that stem-cell research is permissible in Islam, as long as it is carried out to improve human health and takes precautions to respect human life. Still, as the field develops, policy-makers must continue to invest in education and raise awareness of the opportunities, challenges and uncertainties of human ES-cell research. The scientific output of the Islamic Arab region is low compared with that of other regions. Implementation of these laws in Jordan and other Muslim countries could help to encourage research to reach international standards and start to bridge that divide. 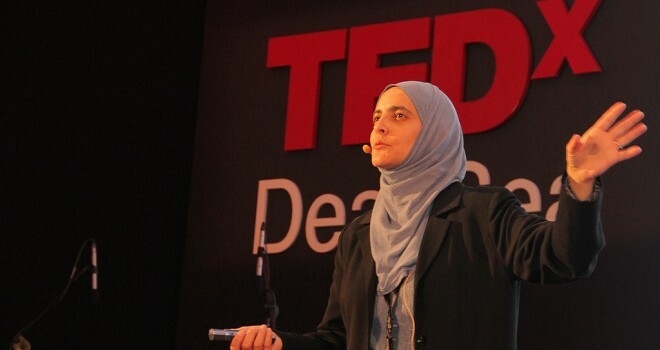 Rana Dajani is associate professor of molecular cell biology at the Hashemite University in Zarqa, Jordan.